Lost at Midnight Reviews: A Change of Scenery: Myself! Hi everyone! And happy Thanksgiving for those in Canada! 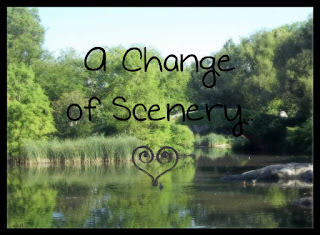 So, today marks the start of my week of guest posts called "A Change of Scenery"! All the posts will focus on setting and how it affects the characters, plot, tone, themes etc. of a novel. Basically, what role setting plays in a story. 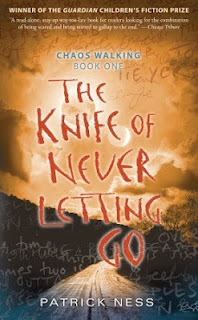 To kick off the week, I'm writing a post about the setting of The Chaos Walking Trilogy by Patrick Ness and what role it plays in the story. If you haven't read The Chaos Walking Trilogy, you need to go do that right now. It's a captivating, innovative, and breath-taking. The kind of novel that grabs you by the throat and pulls you into the story. It's beautifully done, and I have loved every bit of them. Now, there are so many directions I could take with this question in regards to this book. Setting it probably one of the most important elements of it. But, in order to avoid spoiling anything (because I'm very anti-spoiler everything) I'm going to keep all the description down to the basics. The entire trilogy is set on New World, a planet far away from Earth, with a different landscape, longer calendar and two moons. The first ship of humans arrived years before the story begins, and were met with something unexpected: other inhabitants. The Spackle. Native creatures to the land, the Spackle and the humans engaged in a vicious and deadly war which decimated the Spackle population. The humans were then free to take over, and they did just that. But they weren't just met with the Spackle but something even more terrifying: the Noise germ. Part of the planet, the Noise germs turns thoughts into "Noise" that everyone can hear. As you can tell from just a bare bones description, setting is key in this novel right off the bat. Todd, the protagonist, lives in Prentisstown. 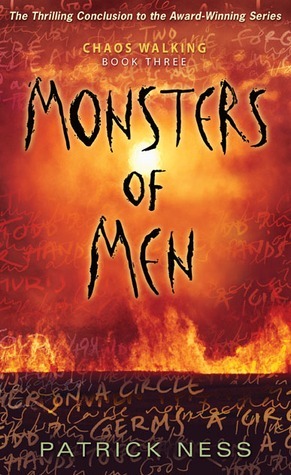 A desolate, secretive dying town consisting of only men and run by the controlling Mayor Prentiss. Todd is just month's shy of his birthday, where he will be officially declared a man. But, discovering a secret he was never meant to find, Todd is sent on the run by his guardians, and soon discovers his whole life was built on lies. Prentisstown itself is a key part of the setting, and really adds to the foreboding feel of the story. A town with no women, and secretive, forceful men? It's pretty obvious something is seriously wrong. As Todd is running away, the wild untamed planet itself creatures a chaotic and reckless tone. And then there's the Noise germ. The Noise germ plays an integral part in the entire story. It causes confusion, leads to revelations, turns into a game of power, a weapon and everyone and everything thing is affected by it. The Noise becomes a character in itself, able to be manipulated and cause mass amounts of damage. Without the Noise germ, this would not be the same story and would not have the same fearful edge to it. Reading about a planet where your every thought is heard by those around you is petrifying. Probably one of the worst situations I could ever imagine. 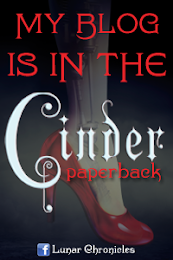 The setting is extremely foreign to the reader, but the characters and themes are not. But, they wouldn't be able to come across as well without the setting. 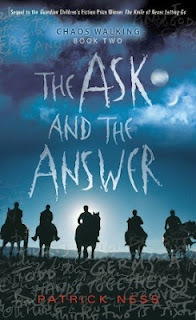 The setting in The Chaos Walking trilogy is extremely important to the story itself. The Noise germ, the Spackle, Prentisstown, and the wilds of the planet itself all combine together to create this story that is dependent on where it's set. 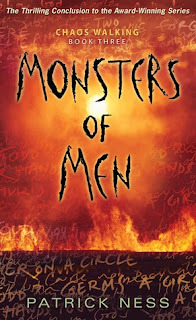 A beautifully amazing trilogy, and one terrifying setting. Well, that's all for day one! 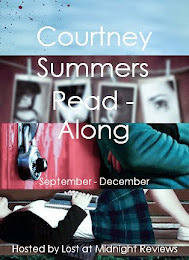 Make sure to stop by tomorrow to read about Emilie's thoughts on the setting of the Beautiful Creatures series! Love your take Ciara! :D Thank you for sharing!